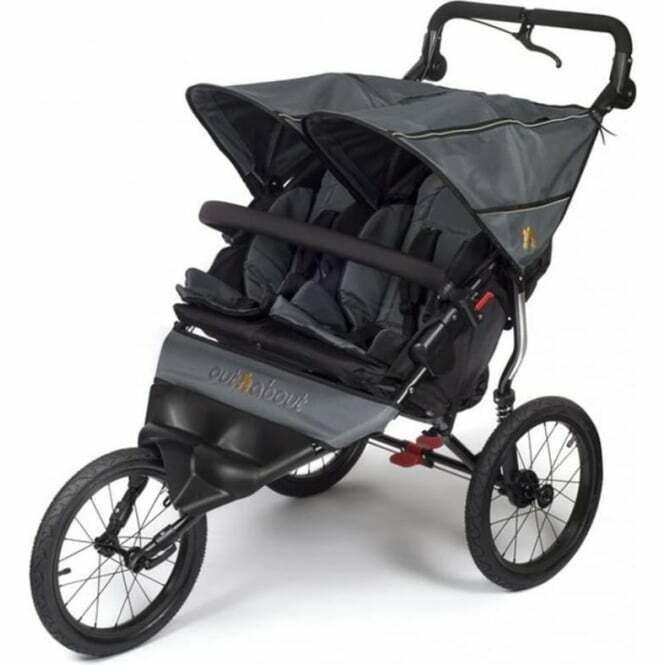 The Out n About Nipper Sport Double Pushchair is the new version of the award winning Nipper Double from Out n About for active parents who want to use the buggy in off-road conditions or whilst jogging. The 16" wheels on the Out n About Nipper Sport Double Pushchair glide smoothly over all types of terrain and is lightweight and easy to fold. The Out n About Nipper Sport Double Pushchair is suitable from birth to approximately 4 years. The large 16" wheels give a smooth ride over any terrain. The fixed front wheel gives added stability over rougher terrain. The brake is mounted on the handlebar giving you easier access to it and the independent rear wheel suspension adds to the ride comfort. The rear wheels are quick release. 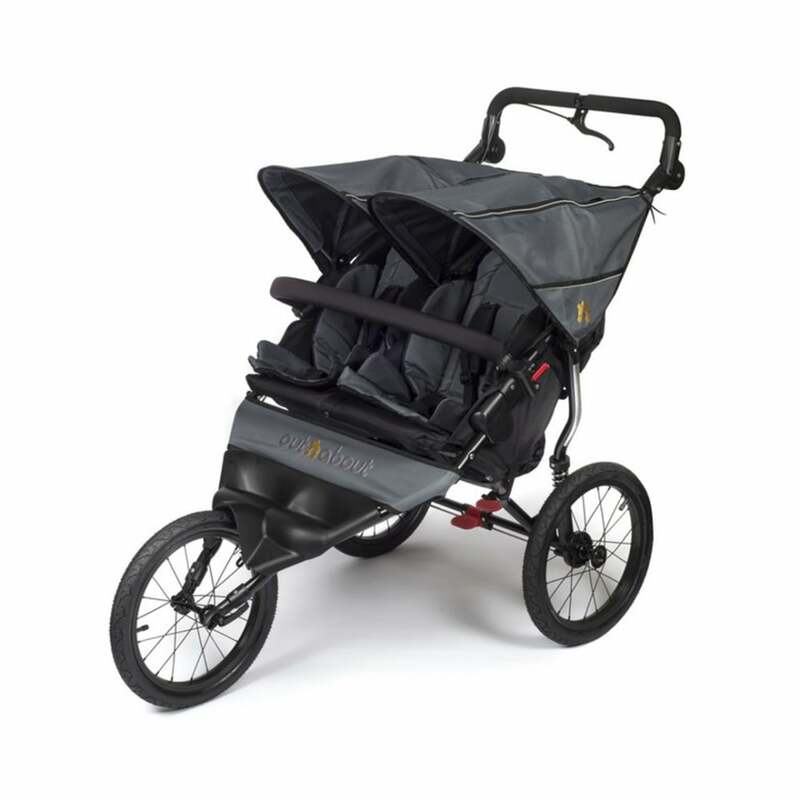 The Out n About Nipper Sport Double has a lightweight aluminium frame which makes transporting and storage easy. The multi-position reclining seat means you can find a comfortable position for your baby and the height adjustable handle allows you to find a comfortable pushing position. It folds compactly. The large sun canopy with peek-a-boo window is retractable. A 5 point safety harness keeps your baby safe. Your Review - Love this pushchair! I really wanted to stay active after having our twins and this has been the perfect solution. My husband has even started getting into jogging too! Really easy to push, twins always looks comfortable and adjustable handle is great to suit us both.